You’ve probably searched for “the best spa near me” and come up with a multitude of options right here in the Phoenix AZ region. 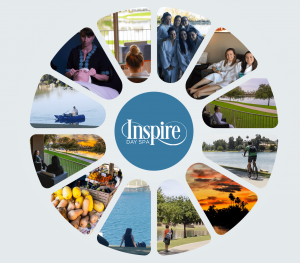 From the Phoenician Spa Resort to some of the other luxurious places that Arizona has to offer…We hope that you also came across Scottsdale’s own Inspire Day Spa. We pride ourselves on being a bit different, on offering a setting and services that many places just cannot provide. Our location is unmatched. Take a look outside our facility. Water for miles as Lake Marguerite invites guests to relax, walk, hike or bike. It truly is tranquil. And then of course there are our packages ad treatments. So when considering the “best spa near me” you really need look no further than Inspire Day Spa. Inspire Day Spa’s Incredible Packages! Romance by the Lake: True to its name, this one inspires the romantic in everyone. An Inspire massage while next to your loved one, followed by chocolate covered strawberries and champagne. Seriously, it doesn’t get any better than a day spent like this. Add in the ambiance of the lake, and you are sure to make some amazing memories. Spoil Me Package: Yes, we are here to pamper, and of course spoil. This spa package really does include the best of everything. A 90 minute massage, a 90 minute facial, exfoliating body treatment and even a lakeside lunch to top it off. Pure heaven! Nature Connect Package: Now this is one of our personal favorites. We have this gorgeous setting, and we want to make the most of it for our guests! A facial and a massage are just the start. With a lakeside lunch included as well and an hour long bike rental, you truly will get to experience the best the lake has to offer. Our extensive list of luxurious treatments and services is unparalleled in the Scottsdale az area. With massage therapists who have years of industry experience, we are happy to offer everything from sports massage, to deep tissue massage, to hot stone massage. Our massages focus on helping release tight muscles, and ultimately bring you a true therapeutic experience. Don’t forget the variety of facials we offer. State-of-the-art technology meets relaxation when it comes to the hydrafacial. This is one of our most popular. We also cater to those looking to turn back the clock when it comes to the signs of aging. Or how about diminishing the look of blemishes and scarring. Our facials are also great for general refreshing, and imbuing your skin with an enhanced glow.